DESCRIPTION The BEST IN CONDO LIVING! This Medican building is sought after and listings do not come up everyday! This building is 40+ building and lifestyle is what it is all about! Amazing location with shopping and transit nearby. Building amenities include a large swimming pool, hot tubs, steam room, gym, bowling alley, theatre, hobby room, workshop, car wash, pool tables, library, and many common areas for use and enjoyment! The unit itself has been lovingly cared for by this original owner, and along with the rest of the building, shows absolute pride of ownership! Vacant and ready for immediate possession. The listing includes a titled, underground parking stall, and has a storage locker located right in front of the stall. The massive kitchen will be sure to please with ample cabinet and counter space, while the large bedrooms have plenty of space for you! Cozy up to the gas fireplace in the spacious living area, adorned with laminate plank floors. The common areas are all spotless, along with the hallways. 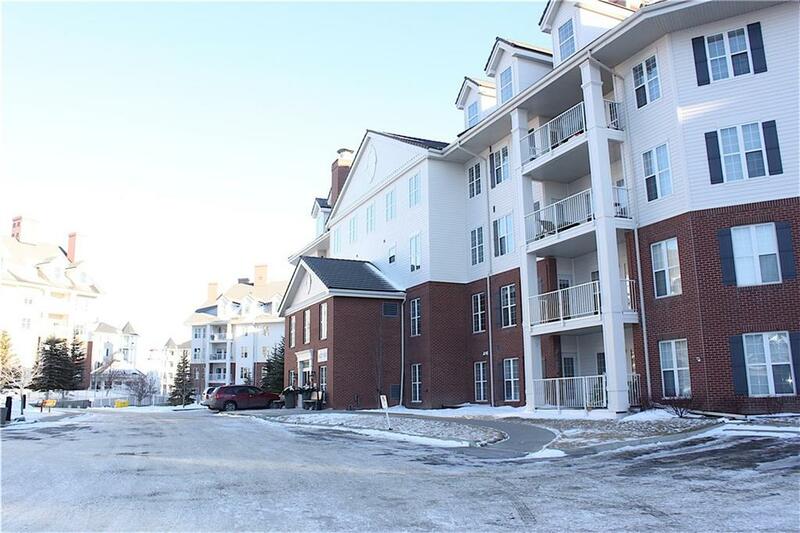 #1233 151 Country Village RD Ne, Calgary, Alberta, MLS® C4229970 T3K 5X5 is a Apartment, 2 bedrooms, 2 bathrooms, approximately 1,283 Sq. Ft. Listing price 319,900.00. This property was built in 2003.